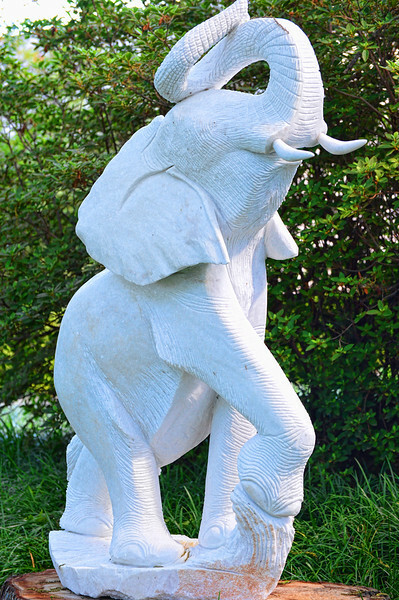 This is another of the wonderful pieces of art in the Dallas Arboretum when the ZimSculpt exhibit was in town. All of the art was done by Zimbabwean artists. And, I can tell you that they were all masterpieces. Unfortunately, I didn't get a shot of the title of this work or the artist. But, I really like the pose. Have an uplifting day today! Beautiful capture of this elephant piece of art. That is so beautiful..great shot! !